There is a growing trend in women to delay childbearing until later in their reproductive years. This is mostly attributed to the increase in women pursuing postgraduate qualifications and higher levels of professional achievement. These activities demands for time and energy compete with those of starting a family. Its an established fact that the ability to conceive is strongly influenced by a woman’s age, many women who delay childbearing may face infertility by the time they are ready to become pregnant. Fertility clearly declines with advancing age. Advancing age is associated with prolongation in the average time for achieving conception. The probability of achieving a pregnancy in one menstrual cycle begins to decline significantly in the early 30s (around age 32), with a more rapid decline a few years later (around age 37) and by age 45, as many as 99 percent of women are infertile. 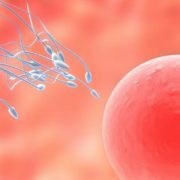 What decreases fertility at older age? Poor quality of aging female egg cells (chromosomal abnormalities, morphologic abnormalities, functional abnormalities). Decreased ovarian reserve (fewer female egg cells). Studies show that only about 5 percent of women with diminished ovarian reserve will achieve pregnancy, despite use of ovulation inducing treatment. An altered hormonal environment resulting in dysfunction of ovulatory cycle. In addition to ovarian factors, older women have more opportunity to acquire medical and surgical conditions such as, endometriosis, endometrial polyps, pelvic infection, and leiomyomas, which can impair fertility through a variety of mechanisms. Lifestyle factors may also play a role. Older women may have lower coital frequency than younger women, and are more likely to be obese. Older women are at risk for the same pregnancy complications as younger women, but their risk is higher for some of these problems. Spontaneous abortion — Older women experience an increased rate of spontaneous abortion. These losses primarily result from a decline in female egg quality; changes in uterine and hormonal function may also play a role. The vast majority of losses occur between 6 and 14 weeks of gestation. 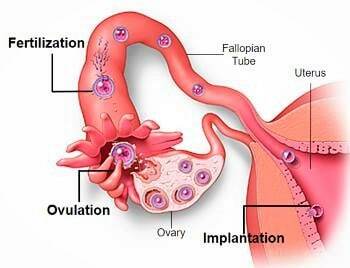 Ectopic pregnancy — Ectopic pregnancy is a major source of maternal deaths and complications in early pregnancy. Maternal age including 35 and greater years is associated with a four to eight-fold increased risk of ectopic pregnancy compared with younger women. 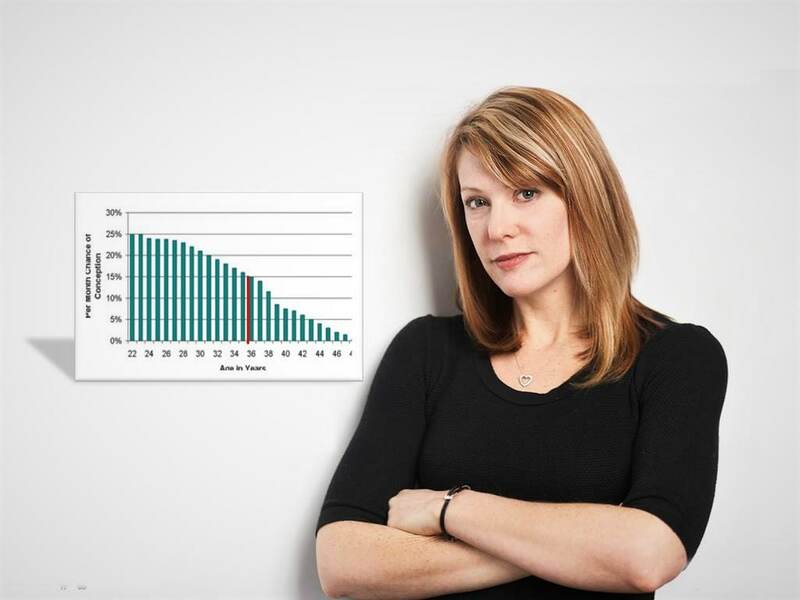 Chromosomal abnormalities — Studies show a steady increase in the risk of Chromosomal abnormalities as a woman ages. Gene abnormalities — Studies have reported an association between advanced maternal and paternal age and risk of autism and related disorders. Congenital malformations — The risk of having a child with a congenital anomaly or birth defect may increase with increasing maternal age. Some obstetrical complications in older women appear to be related to the aging process alone, while others are largely related to coexisting factors such as multiple gestation, higher parity, and chronic medical conditions, which are less likely to be observed in younger women. Effects of coexisting medical conditions — The prevalence of medical and surgical illnesses, such as cardiovascular, renal, and autoimmune disease, cancer, and obesity increases with advancing age. For this reason, women more than 35 years of age can expect two to three-fold higher rates of cesarean delivery, hospitalization, and pregnancy-related complications than their younger counterparts. The two most common medical problems complicating pregnancy are hypertension and diabetes. 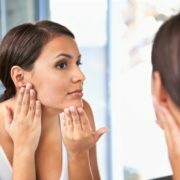 Both conditions are increased in older women, especially those who are overweight. Hypertension. The odds of being diagnosed with chronic hypertension are two- to four-fold higher in women ≥35 years of age than in women 30 to 34 years of age. The incidence of preeclampsia in the general obstetric population is 3 to 4 percent; this increases to 5 to 10 percent in women over age 40 and is as high as 35 percent in women over age 50. Diabetes mellitus — The prevalence of diabetes increases with maternal age; the rates of both preexisting diabetes mellitus and gestational diabetes increase three- to six-fold in women 40 years of age or older compared with women aged 20 to 29. The incidence of gestational diabetes in the general obstetric population is 3 percent, rising to 7 to 12 percent in women over age 40, and 20 percent in women over age 50. Placental problems — The prevalence of placental problems, such as abruptio placenta and placenta previa, is higher among older women. Placenta previa is the condition which assumes implantation of the placenta over or near the internal cervical entrance. This leads to a sudden and painless vaginal bleeding. In cases of profuse hemorrhage or when fetal maturity is reached, child is delivered usually by Cesarean section. Perinatal morbidity — Advanced maternal age is responsible for a substantial proportion of the increased rate of low birth weight and preterm delivery. Cesarean delivery and dysfunctional labor — Studies consistently show that women ≥35 years of age are more likely than younger women to be delivered by cesarean. The cesarean delivery rate in women over age 40 to 45 was about 50 percent and the rate was almost 80 percent in women age 50 to 63 years, at a time when the rate in the general obstetric population of the United States was about 25 percent. 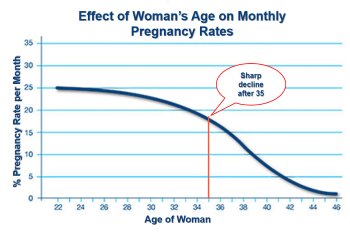 Women should consider that delaying childbearing until the mid 30s significantly increases the risk of infertility and of development of a chronic medical disease which might complicate pregnancy. Women contemplating pregnancy should optimize their health (eg, avoid smoking, achieve a normal body mass index (BMI) , avoid recreational drugs and alcohol) and seek doctor’s advice prior to trying for pregnancy. Older women are at increased risk of pregnancy complications from: spontaneous abortion, ectopic pregnancy, fetal chromosomal abnormalities, placenta previa, some congenital anomalies, gestational diabetes, pre-eclampsia, and cesarean delivery. Such complications may, in turn, result in preterm birth. There is also an increased risk of perinatal mortality.